byrd (b. 1974) is a Canberra based public muralist. His practice is informed by an interest in ‘mend and make do culture’, using found and repurposed materials in addition to public walls as a ground for his work. He despises the thought of devoting new material resources to his projects, when there is a wealth of resources available to repurpose. He states there is “so very much cultural detritus and what kind of cultural worker would I be, to not notice and not use these’. 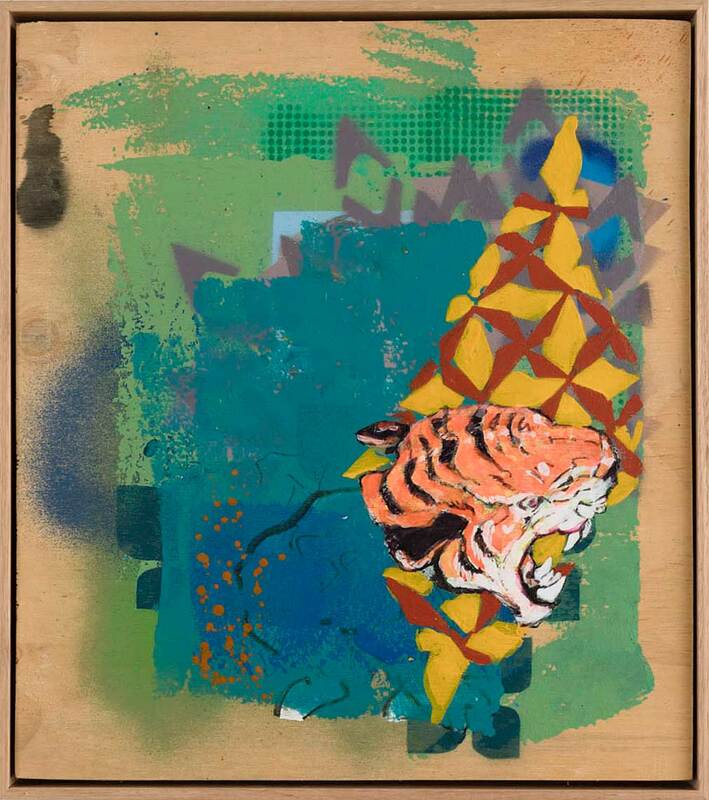 He draws inspiration from screen culture, museums and literature and uses stencilling, paint and print to make fresh, composite images. His work captures the spirit of the post-gallery, Street Art movement that seeks to democratise art production and dissemination beyond the white walls of the gallery.